Paris may have the Louvre, the Musée d’Orsay and house some of the world’s greatest works of art but Limerick has been found to be more “culturally vibrant”, according to a report published by the European Commission. Limerick’s medieval and Georgian architecture, Gallery of Art and legacy as Ireland’s first National City of Culture meant that it scored highly on a new index. The Cultural and Creative Cities Monitor provides comparable data on how European cities perform across nine sectors, including culture and creativity. It placed Limerick ahead of Paris when museums were used as a measure of cultural vibrancy. 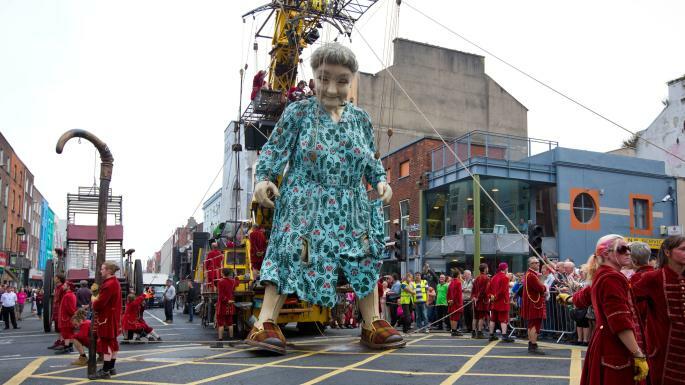 The monitor praised Limerick as “home to a major contemporary art event, the EVA International” and noted that the city was shortlisted to be a European Capital of Culture in 2020. Stephen Keary, Limerick’s lord mayor, welcomed the news and said that “the results show that Limerick has very strong foundations to build on”. Cork placed first for cultural vibrancy among cities with a population of 50,000 to 250,000 people. Dublin also achieved its best result in this area, coming third in a group of 34 cities. The monitor singled out the regeneration of Temple Bar as a key component in the capital’s rankings. “The Temple Bar district underwent an important regeneration process in the 1990s, becoming a major creative quarter and attracting artists, businesses and tourists,” it said. Galway came fifth in the “enabling environment” rankings and was named joint fourth with Limerick for graduates in arts and humanities.